EA has revealed results from a study conducted by The Nielsen Company which shows the degree to which brand advertisements within video games can boost real life sales. The study, commissioned by EA on behalf of Gatorade, shows that in-game advertising increased household dollars spent on Gatorade by 24%, and offered a return on investment of $3.11. The study focused on households that purchased at least one of six EA SPORTS™ titles: NHL® 09, NHL 10, NBA LIVE 07, NBA LIVE 08, NBA LIVE 09 and NBA Street Homecourt. Gatorade had a variety of product placements within the games including arena signs, players’ water bottles, score updates and other call outs. Vancouver’s 6S Marketing announces the launch of a groundbreaking program, the 6S Strategy Academy, to provide Internet marketing courses for businesses. The program is ideal for marketing professionals, business owners and employers looking to incorporate online marketing strategies into their business for the first time, or improve upon existing online marketing initiatives by training and empowering staff. 6S Strategy Academy is an extension of the vast expertise and resources at 6S (@6S_Marketing) to businesses that would benefit from implementing Internet marketing concepts and strategies in-house. Their commitment to education, demonstrates 6S’s interest in seeing the value of Internet marketing recognized beyond signing and serving clients. The 6S Strategy Academy offers a series of courses guiding companies through beginner and intermediate concepts and tactics, with an overall aim to assist in the composition of a comprehensive online marketing strategy for the business. 001 Online Marketing Strategy Training – This course provides guidance on how to create an online marketing strategy and online marketing plan using industry best practices. Website marketing, permission email marketing and social media marketing are covered. 002 Search Engine Marketing Training – A strategic review of a company’s web site’s search engine placements to identify changes needed to improve ranking on Google, Bing, and Yahoo. 003 Social Media Marketing Training – A course on how to best use current social media tools such as Facebook, Twitter, Youtube and Flickr to market a business. The 6S Strategy Academy is designed for companies looking to bring SEO and Internet marketing tasks in-house or provide employees with better skills in managing and measuring internet marketing efforts. The courses are eligible for financial assistance through the Workplace Training for Innovation Pilot Program (WTIP) established by the BC Ministry of Advanced Education and Labour Market Development. WTIP provides funding to eligible employers with less than 50 staff for the employee training of their choice, delivered by the training provider of their choice. If you have been considering switching to Unity 3D for game development but are unsure of where or how to start, Ryan Henson Creighton, founder of Untold Entertainment, has written a book just for you. Available now for pre-order, Unity 3D Game Development by Example Beginner’s Guide is due out later this month. * Learn how to “skin” projects to make totally different games from the same file – more games, less effort! * Develop and customize four fun game projects, including a frantic race through hospital hallways with a still-beating human heart and a catch game with a jilted lover that morphs into a space shooter! PadWorx Digital M edia, Inc., an independent developer of a new category of interactive eBooks for tablet PCs, today announced that it is set to debut a series of eBooks on September 15th that combine text, gameplay and interactive touch screen technology to create a new digital book experience completely controlled by the reader. 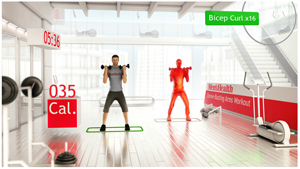 The series of interactive eBooks will be released on Apple®iPadTM in Fall 2010. There will be two debut titles, the first of which is for teens and adults, with the second title being suitable for families. Schechter, a two-time Emmy-nominated writer and producer who is well-known for creating Contour, Mariner Software’s award-winning story development software system, founded PadWorx Digital Media in 2010 with his partner, Tod Baudais, a game programmer and the head of software for a feature animation film studio. PadWorx Digital Media is dedicated to pushing the boundaries of tablet PC capabilities in order to create unique ways for readers of all ages to experience both literature and entertainment. Desire2Learn Incorporated (Desire2Learn), a leading provider of mission-critical enterprise eLearning solutions, is the recipient of a Best in Category Award for Learning Management based on the results of the 2010 IMS Learning and Education Technology Satisfaction and Trends (LearnSAT) survey. For the 2010 competition, only 12 awards were made for “Best in Category.” Recipients were honored at the awards ceremony and presentation held earlier this year during the Learning Impact Conference in Long Beach, CA. Jeremy Auger, COO, Desire2Learn was on-hand to receive the award. The LearnSAT report, and underlying research, is conducted to provide level of satisfaction information in the use of technology to support teaching and learning to a new and rapidly evolving marketplace. Through the LearnSAT report, those responsible for implementing and supporting solutions in this new marketplace have additional information to supplement that supplied by vendors as to the level of satisfaction expressed by current clients. A unique aspect of this research is that it also looks at trends in how these technologies are being used and supported, as well as the technologies themselves. It is based on over two years of research uncovering best practices for success in Internet-Supported learning. The IMS Global Learning Consortium LearnSAT is the learning community’s number one source for satisfaction and trends in the use of technology to support learning. Further information on the survey can be found online. Desire2Learn was also the first LMS provider to have attained the IMS Basic Learning Tools Interoperability (IMS Basic LTI) standard. LTI is a standard developed by IMS Global Learning Consortium to allow Tool Consumers (Learning Management Systems primarily) to easily link to and pass user / organization / course information to Tool Providers (other online applications for eLearning such as wikis, simulations, protected content, assessment tools, etc.). Twenty-five years ago today, Nintendo’s original Super Mario Bros.™ video game made its debut in Japan and changed the world of video games forever. Since then, Mario™ has become one of the most renowned and beloved video game characters around the globe. Mario is all but synonymous with Nintendo. It’s difficult to think of one without thinking of the other. Super Mario Bros. contains a magical blend of characters, graphics, challenges, music and action that still captivates players today. The original game sold 40.24 million units worldwide, and remains one of the best-known, best-loved video games in the world. It popularized the side-scrolling format and established elements of the Mushroom Kingdom that are still used in today’s Mario games. Super Mario Bros. frequently appears on lists of the best games of all time. To celebrate the 25th anniversary of Super Mario Bros., fans can visit Mario’s birthday page to see a special video that shows game-play footage from Super Mario Bros. all the way through Super Mario Galaxy™ 2. Bitstrips Inc. released data today showing that its popular educational comic-making tool, Bitstrips for Schools, is helping close the gender literacy gap by motivating male students to write as much as their female counterparts. An analysis of over 400,000 students who used Bitstrips for Schools during the 2009-10 school year revealed that boys wrote as many comics on a per-student basis as girls. The analysis compared usage across grades 1-12, and showed that the number of comics made by students of both sexes was virtually identical in each grade. In total, students combined to create over 2 million comics on Bitstrips for Schools in under 10 months, most of them in Ontario, Canada, where the service is available to all of the province’s 5,000 publicly funded schools through a license from the Ministry of Education. Featuring online tools that let any student create and share comics without having to draw, and a growing library of activities covering English, Math, Science, History and Social Studies, Bitstrips for Schools is striking a chord at a time when comics are becoming recognized as having an important role to play in the classroom. School librarians are adding graphic novels to their bookshelves in growing numbers, and in July, the Canadian Council on Learning published a report detailing the potential of comics in boys’ literacy development. Bitstrips for Schools has experienced explosive growth since launching last September. In Ontario, over 25,000 teachers have created accounts across 85% of the province’s schools. Many more have subscribed across the rest of Canada, as well as in Australia, the United Kingdom, and the U.S., where the site is a featured partner in the National Writing Project’s Spotlight on Literacy. By the end of June, students were making 15,000 new comics every day. An end-of-year survey of teachers who use Bitstrips for Schools revealed that 98% find the website easy to use, 97% plan to use it again in the coming school year, and 98% would recommend Bitstrips for Schools to their fellow teachers. The company recently renewed its license in Ontario for the 2010-11 school year, once again making Bitstrips for Schools available to the province’s 2 million students. Edmonton’s XGen Studios, the independent developer behind hit WiiWare™ title Defend Your Castle™ is pleased to announce the upcoming release of the all-new Super Motherload™ on Nintendo’s WiiWare. 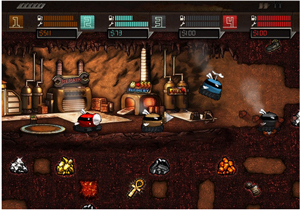 Featuring the classic arcade-style digging gameplay already enjoyed by millions, Super Motherload is a new 4-player digging adventure for Nintendo Wii™ players. “We’re pleased to announce that the next title in the Motherload series, which has already garnered in excess of 50 Million plays online, will be multiplayer co-op digging adventure Super Motherload. Fans already familiar with classic Motherload should be pleasantly surprised with the addition of many new features alongside gameplay which holds true to the series’ originator” said Skye Boyes, Founder & CEO of XGen. Motherload received the Best Action Game award in Miniclip’s 2005 Online Game Awards, where it also received a nomination in the “Best Online Game” category. Official ratings for Super Motherload are pending. Xgen is also pleased to announce that it is partnering with Czech studio Amanita Design to bring Amanita’s award-winning puzzle-adventure game Machinarium™ to Nintendo’s WiiWare. 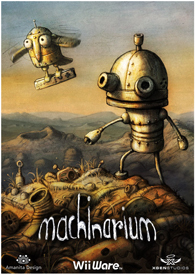 Machinarium is a point-and-click adventure game filled with fun and devious puzzles, released in 2009 for PC & Mac. Set in a richly detailed world and filled with charming characters, the game features a little robot hero who’s been thrown out to the scrap yard behind the city and must return to confront the Black Cap Brotherhood and rescue his robot girlfriend. Featuring dozens of beautiful hand-drawn environments and a meticulously crafted musical score, Machinarium is a visual marvel and a pleasure for the senses. Machinarium received the Excellence in Visual Art award at the 12th annual Independent Games Festival, as well as the Best Soundtrack award from PC Gamer in 2009. It was nominated for Outstanding Achievement in Art Direction by the Academy of Interactive Arts & Sciences and a Milthon award in the Best Indie Games category at the Paris Game Festival. Various publications have named it Adventure Game of The Year and Best Indie Game, as well as runner-up for PC Game of the Year 2009. Unity Technologies, provider of the Unity development platform for highly interactive 3D content on the web, iPhone, iPad, PC, Mac, Android, Wii™, Xbox 360 and PlayStation®3, today announced that Unity is powering the virtual visualization experience for Scion’s brand new Canadian website. Scion brings Toyota brand quality to the table but with a distinct twist – delivering designs and vehicles custom-built for personal expression that target a different market with an entirely distinct mission. Scion set out to build vehicles tailored to the needs and tastes of a new generation of trendsetting drivers. The outcome is a complete range of iconic urban vehicles that combine attitude, affordability, quality and fuel economy. Each Scion offers a broad array of dealer-installed Scion accessories and TRD Performance Parts that give every Scion driver the means to boldly express their personality and individuality. Unity makes it possible for users to experience this compelling new vehicle lineup and personalize them with accessories virtually like never before – taking interactivity to a whole new level. Consumers can “build” their vehicle with every possible combination of colors, wheels and TRD performance parts and then view their car from any angle and rotate with the same type of motion used on smartphones today. Each accessory has animations that “fly” in and show exactly where they are installed and what they look and sound like. Consumers can send their personalized Scion to a dealership and arrange a test drive. Fully customized vehicles can then be built to order and delivered in a couple of days. 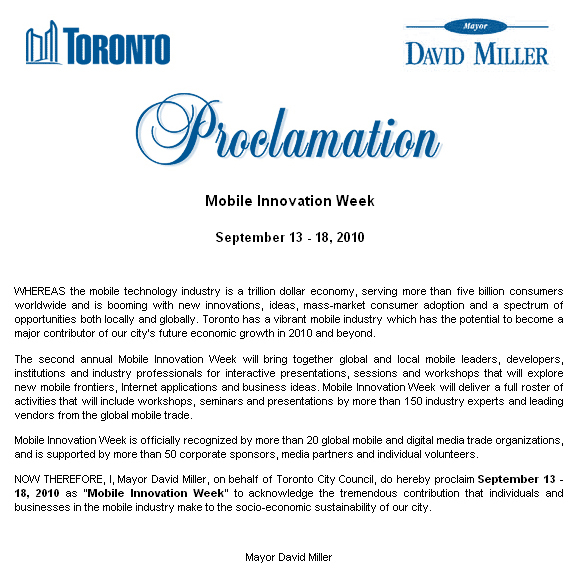 Mayor David Miller and the City of Toronto have proclaimed that September 13-18, 2010 will be MOBILEINNOVATIONWEEK, recognizing the 2nd annual event for the global mobile industry in Toronto. Kicking off the week-long conference is MIW 2010 Hack-A-Thon where local Toronto mobile developers will leverage the City of Toronto’s OpenTO.org Open Data Framework to conceive and create mobile web and apps for social benefit and community services. “Toronto’s talented mobile developer community is passionate about improving this city,” said Michele Perras, director of the Mobile Experience Innovation Centre (MEIC), co-producer of MOBILEINNOVATIONWEEK, and host for the MIW 2010 Hack-A-Thon. MIW 2010 Hack-A-Thon will feature two days of presentations, workshops and networking opportunities in addition to “dreaming and building” working sessions. Mobile and web app concepts will be judged by the community and revealed later during the Mobile ThinkTank Series event. “Hack-A-Thon will not only showcase our creativity and technical expertise but will result in real solutions that benefit the more than 5-million people that call the GTA home,” adds Jason Silva, founder JBBMobile and curator of the MIW 2010 Hack-A-Thon. The MIW 2010 Hack-A-Thon will take place from 9:00a.m. – 6:00p.m. on September 11th and 12th at the Ontario College of Art & Design’s auditorium and will be hosted by the Mobile Experience Innovation Centre with Toronto mobile, software developers, designers, marketers, and social media experts as well as with creative and passionate residents dreaming and building mobile and web application to benefit the City of Toronto, its residents, businesses and its services. Rounding out the opening weekend of Mobile Innovation Week will be the IN 2010 kick-off reception, which will take place starting at 6:00pm on Sunday, September 12th, and be hosted in a space featuring an exclusive preview of the START exhibition – an interactive exhibition featuring the work of independent game designers from OCAD University. Curated by Emma Westecott, Assistant Professor of Games Design for OCAD University, this exhibition will allow guests to experience the best in up-and-coming game design, as well as meet and chat with the designers themselves. Wall-sized projections and personal gameplay stations will make the space come alive, while leaving plenty of room and opportunities for networking with fellow IN 2010 delegates and speakers. The Canada Media Fund (CMF) is beginning a new round of consultation with the industry this fall as it develops its program guidelines for 2011-2012. Join Valerie Creighton, President and CEO, and Stéphane Cardin, VP of Industry and Public Affairs, for an opportunity to provide your input. With the support of the CMF, this session (and the IN closing keynote) is open to IN 2010 delegates and the industry at large. If you are not a IN 2010 registered delegate but would like to attend this session please register with the CMF or register for IN 2010 now. The CMF consultations will take place at the Carlu on September 14th from 3:15p.m. until 5:20p.m. The Board of Directors for Digital Alberta would like to take this opportunity to introduce Jo-Anne Douthwaite, the organization’s new Executive Administrator. Jo-Anne has a wealth of managerial experience in both the non-profit and financial sectors. In her new role with Digital Alberta, the Association expects that she will contribute significantly to the organization’s ongoing initiatives to sustain a strong, vibrant and competitive digital media industry in Alberta. FITC will be back in Edmonton for two days of design and technology goodness on November 6th and 7th. With presentations, panel discussions, and an evening event, this is sure to be an amazing event. Confirmed presenters include Jamie Kosoy (Big Spaceship), Keith Peters (bit-101), Branden Hall, Jeremy Thorp (blprnt.com), Mike Chambers (Adobe), Grant Skinnerr (gskinnner.com), Joel Wan (Critical Mass), Phillip Musser (Critical Mass), Trent Oster, Jason Theodor, and Hugh Elliott. The first BCTIA TechForum of the season, Building our Future, will take place at the Sutton Place Hotel on September 15th, will feature Iain Black, Minister of Small Business, Technology and Economic Development for BC. Minister Black will speak about the importance of building capacity in BC technology companies and the role our industry plays in building British Columbia’s economy. Following Minister Black’s address, honoured representatives from the Federal Government, including Ed Fast, MP for Abbotsford and appearing on behalf of the Honourable Lynne Yelich, Minister of State for Western Economic Diversification Canada, and Neil Bailey, Industrial Technology Advisor of NRC-IRAP, will announce their support of a new initiative designed specifically for our technology companies. Registration is still open for Interactive Exchange 2010, which begins this Sunday in Toronto. There are still a limited number of discounted Startup Passes available to Interactive Ontario members, so if you are a new digital media enterprise, be sure to check and see if you qualify for one of these passes. This year, IN 2010’s move to September also aligns it with the Toronto International Film Festival. To celebrate the serendipitous timing, IN will feature several sessions and speakers who will examine the opportunities in transmedia development between interactive media, film and TV entertainment. Most notably is the opening keynote presentation by Jordan Mechner, creator of both the successful video game franchise Prince of Persia, as well as the recent feature film of the same name produced by Jerry Bruckheimer. The Prince of Persia game franchise has sold over 14 million units while the film has grossed well over $300 million making it the most successful video game to movie crossover ever. IN 2010 will feature almost 90 presenters participating in five programme tracks including: Games, Mobile, Blackberry Social Media Stream, Rogers Digital Media X-Platform Stream and OCAD University Visionary Stream. IN 2010 also offers registered delegates the opportunity to meet with conference speakers and attendees via the one-on-one meeting system. This year IN is also a partner in MOBILEINNOVATIONWEEK, one of Canada’s largest festivals of mobile media content and services which takes place September 13 to 18. I just found out about a week-long showcase that will feature games from Toronto-area indie game developers — professionals, well-known names and bedroom coders alike. This showcase, titled The Start Show, will offer visitors the chance to play free indie games on multiple screens at OCAD University’s Great Hall. Exhibitors at the showcase include T.O. Jam, GamerCamp and The Hand Eye Society. There will be a gala event on September 16th, complete with live music, and the showcase opens daily at 8:00a.m. The Canadian Innovation Exchange, which takes place at the MaRS Discovery District on December 7th is pleased to announce two exciting keynote presentations from international leaders in innovation. Russ Daniels, Vice President and Chief Technology Officer, HP Enterprise Services, Hewlett Packard Company is a veteran of the technology industry, with more than 25 years of experience specializing in software architecture, enterprise management, and software development methodologies. As Vice President and Chief Technology Officer for HP Enterprise Services, he sets the technology strategy and architecture for HP’s Enterprise Services portfolio. Doug Merritt, Executive Vice President, SAP OnDemand Solutions, is responsible for all sales and Go-To-Market (GTM) activities related to the entire range of SAP’s cloud offerings. Just a reminder also, that Early Bird ticket prices for CIX end on October 1st, which is also the last day of submissions for Canada’s Hottest Innovative Companies.